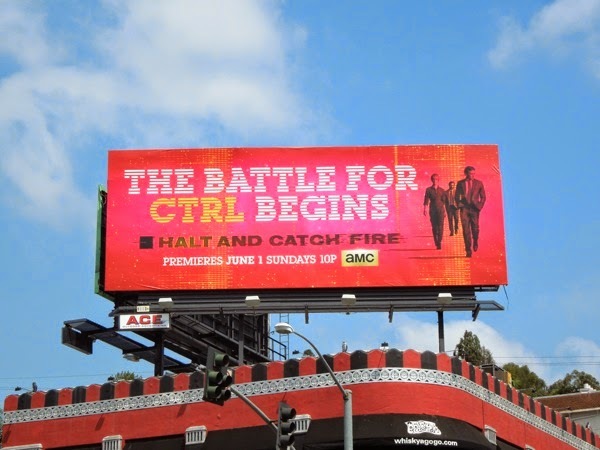 This month if there's one billboard that wants you to halt and pay attention, it's these ads for AMC's new series Halt and Catch Fire which seem to be literally everywhere in the skies of L.A. at the moment. 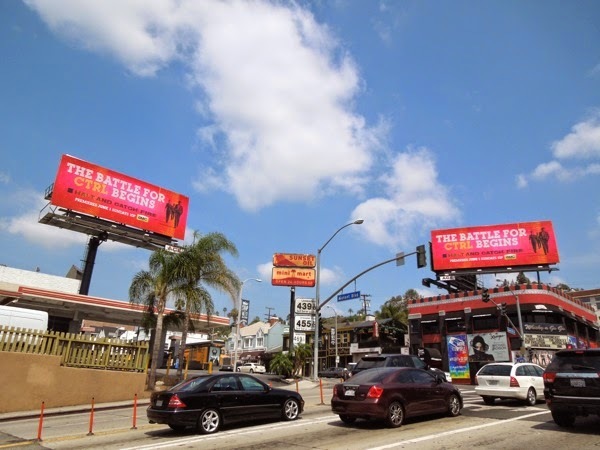 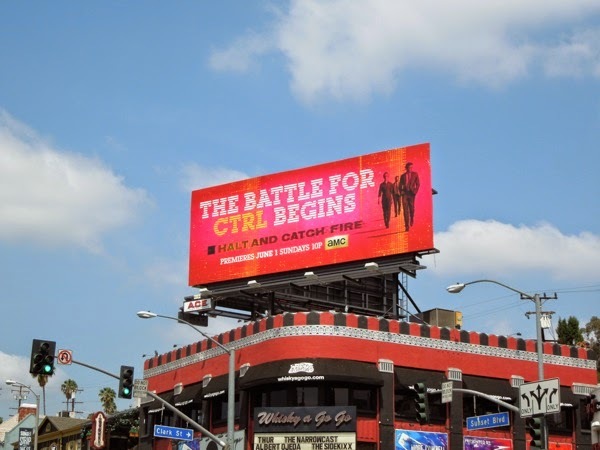 Most noticeably there's a billboard on all three locations at the intersection of the busy Sunset Strip and San Vicente Boulevard, which really stand out with their striking pink colour and clever techy 'The battle for CTRL begins' tagline. 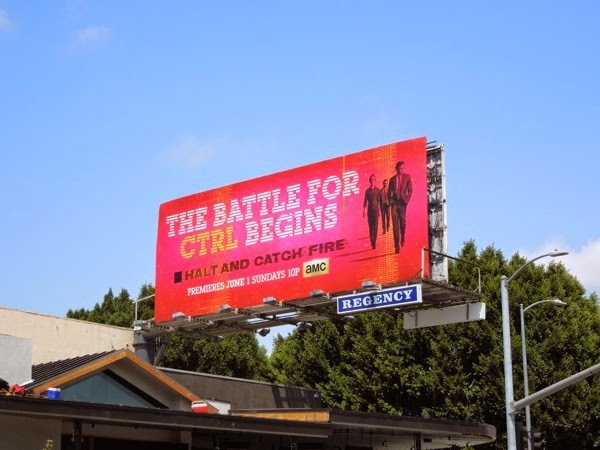 Either the media buying agency really got a great deal for the new show, or AMC really wants you check out their early 80's drama, which takes place a year after IBM cornered the market with the release of its first major product, the IBM PC. 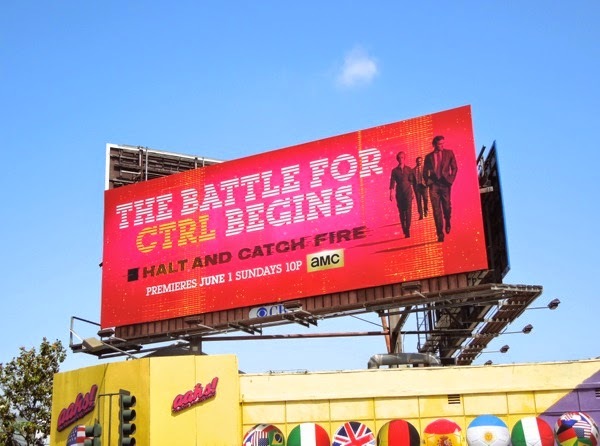 The eye-catching ad creative has a Rat Pack/Reservoir Dogs swagger to it which helps give you an idea what the fictional drama is about, fast-talking sales guy 'Joe MacMillan' (Lee Pace) hatches a plan to reverse engineer the flagship product of his former employer and force his current tech company into the personal computer revolution. 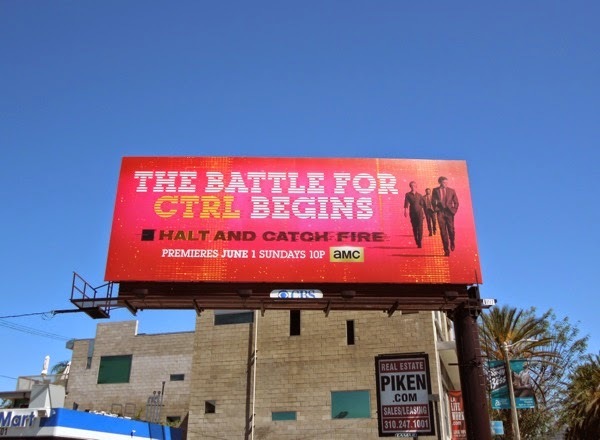 He enlists two brainiacs, troubled engineer 'Gordon Clark' (Scoot McNairy) and volatile punky prodigy 'Cameron Howe' (Mackenzie Davis), to help with his risky rogue project and help change the world. 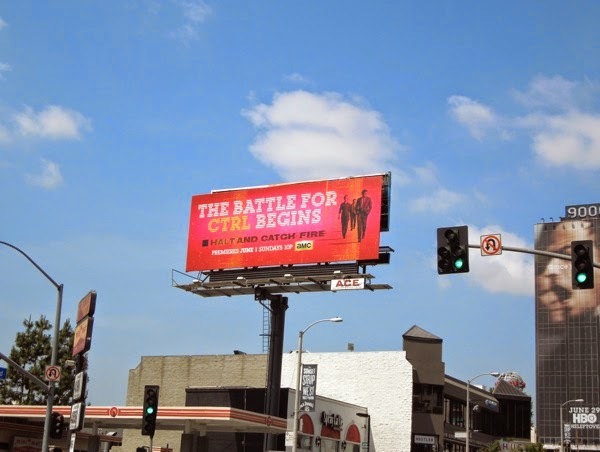 The title of the show itself is in reference to a series of computer code instructions that would cause a computer's central processing unit to completely stop working, and with the world's dependence on technology nowadays, you can't help but feel this series will strike a nostalgic chord with prospective viewers. 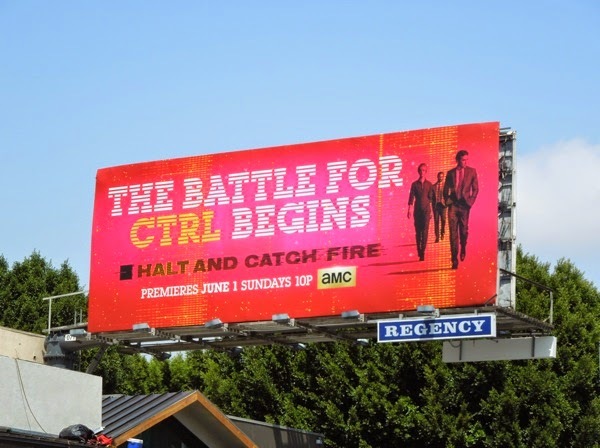 These highly visible series premiere billboards for Halt and Catch Fire (and this is just a small selection go those currently around the streets of L.A.) were spied along Sunset Boulevard and Highland Avenue from May 7 to May 11, 2014. 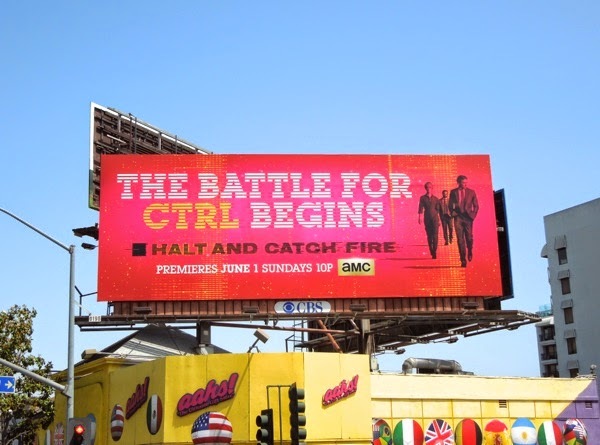 With other tech-themed shows like Amazon's Betas and HBO's Silicon Valley taking a more comedic approach to the industry, maybe Halt and Catch Fire's more dramatic period approach will inspire audiences to switch on to this intriguing new slow burn drama.